The start of a new year means it’s time to file your federal tax return. Many people stress about filing taxes but there are a number of tax filing services to make the process easier. Two of the most well-known services are H&R Block and TurboTax. They both offer a friendly user experience. They provide information along the way so you understand what you’re doing. And they both offer affordable filing options. Which of these services should you use when you file your 2018 taxes? H&R Block has provided consumer tax filing service since 1955. 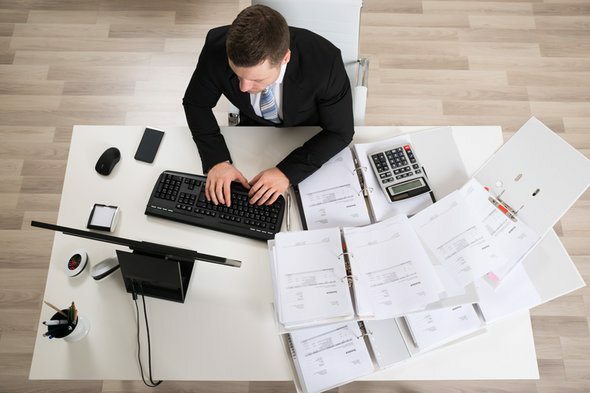 It’s become one of the most popular filing services since then, because it combines simple tools and helpful guidance. That’s useful whether you’ve never filed taxes or whether you’ve been filing for decades. Of course, tools and guidance come at a price. H&R Block currently offers four digital (online) filing options. You can see the options and pricing in the table below. State: $36.99 Includes all previous features plus access to a tax expert during the filing process and for one year after filing. The cheapest filing option is the free option. It lets you file your federal return and all state returns for free. The catch is that this options works for just basic returns. The major forms that it supports are the 1040, Schedule EIC for the earned income tax credit and Schedule 8812 for the Additional Child Tax Credit. You can also use this form with some other common tax forms: Form 1099 (B, DIV, INT and R), 1098 (E and T) and 1095 (A and B). Filing other forms will require you to upgrade to a paid plan. Paid plans range form $29.99 to $79.99 for federal filing. All state filing costs $36.99 per state, with the paid plans. Most filers can get away with the Deluxe option, which costs $29.99 and includes software for maximizing tax deductions. If you do freelance work or own a small business, you’ll likely need to upgrade to the Self-Employed plan, which costs $79.99. One standout feature for H&R Block is its physical stores. If you don’t want to file your return online, stop by one of its 10,000+ tax offices in the U.S. The tax professionals there will be able to walk you through your filing. Filing in person starts at $59 for federal returns. TurboTax has been around since the mid-1980s. Part of its popularity is due to the fact that it’s owned by Intuit. Intuit also makes a software called Quickbooks, which millions of companies use to manage their accounting. But TurboTax is also popular because it offers a user-friendly design and straightforward step-by-step guidance. Like H&R Block, TurboTax has a free filing option that allows you to file your federal return and one state return at no cost. However, the free option only supports simple returns with form 1040. If you want to itemize your deductions with schedule A (or if you need to use any other forms), you will need to upgrade to a paid plan. There are three paid plans that run from $39.99 to $89.99 for federal filing. State filing is always $39.99 per state, with paid plans. The free option includes one free state return. As with H&R Block, TurboTax’s free option supports the 1040 with some child tax credits. The Deluxe option will be enough for most filers. It costs $39.99, which is $10 more than the Deluxe option from H&R Block. You get slightly more features for that additional cost, however. Small business owners and self-employed individuals will need to upgrade to the Self-Employed option, which costs $89.99 for a federal return. TurboTax doesn’t have any physical locations like H&R Block, but it does provide access to tax experts (CPAs or EAs). It will cost extra for you to get access to an expert, but there are four plans available, corresponding to the four plans listed in the table above. Cost is always a consideration when you choose a tax filing service. H&R Block and TurboTax are the two most comprehensive online services available and likewise they are also the most expensive. It’s great if you can file your taxes for free, but the average filer will need to upgrade to another option. The Deluxe option is enough for many filers. Both Deluxe options include deduction-finding software, help with charitable donations and access to tax financial experts through online chat. There are a couple of big differences between the options in the forms that they support. TurboTax’s Deluxe option supports Schedule SE, which allows you to file self-employment taxes. It also allows you to file Schedule C and Schedule C-EZ if you have business income to report but do not have any expenses to report. The cheapest H&R Block option that supports Schedule SE and C-EZ is Premium. That will cost $49.99 (versus TurboTax’s Deluxe option, which is $39.99) for the 2018 tax year. In order to file Schedule C with H&R Block, you’ll need to upgrade to the Self-Employed option, which costs $79.99 for a federal filing. On the whole, then, H&R Block is cheaper than TurboTax. The lower prices can be misleading, though. You may need to upgrade to a more expensive plan to file certain forms through H&R Block. This is especially true if you have any income from freelance work, contract work or any other where payroll taxes weren’t removed. If price is your primary concern, you may want to consider a cheaper service like TaxAct. TaxAct is well-known for being affordable but it doesn’t quite provide the same level of simplicity and educational material that these two services offer. TurboTax’s Deluxe option is the more comprehensive option for the average filer, but let’s briefly consider the free options again. H&R Block and TurboTax both offer a free option for filers with simple returns. 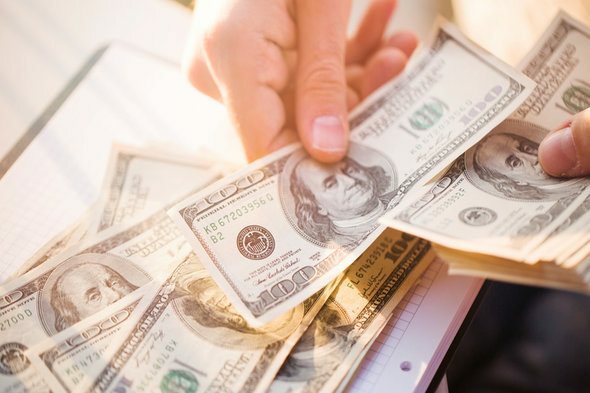 You can often use those forms if you have less than $100,000 in taxable income, you aren’t claiming dependents, you have no investment income other than simple dividends or interest and you don’t have rental properties or business expenses. You cannot use either form if you itemize deductions. However, there are a few deductions available with the free plans. Notably, you can claim the EIC and Additional Child Tax Credit. H&R Block also includes Schedules 1 through 6, unlike TurboTax. So if your finances are simple, the biggest consideration is exactly what forms you need to file, because H&R Block includes more forms and schedules with its free plan. Both of these services are known for their ease of use but TurboTax is generally the more user-friendly of the two – whether you’re talking about mobile or desktop. 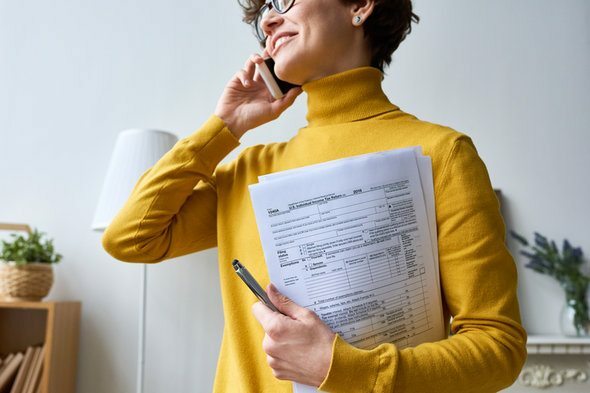 TurboTax’s interview-style approach will guide you through the filing process with simple and straightforward questions. There is minimal tax jargon. H&R Block is also user-friendly but its questions and explanations are not always as clear as you would hope. The filing process with TurboTax also includes encouraging phrases throughout. This isn’t a necessary feature, but taxes are stressful for many people. Seeing, “You can do this,” throughout the process may help to reduce some anxiety. Another important consideration is how easy it is to upload documents. Both services do well on this front. H&R Block and TurboTax both let you upload your W-2 by taking a picture of it. Both services allow you to import your previous returns no matter which tax service you used (as long as you have a PDF version of the return). They also make it easy to fill out your state return after going through your federal return. Your information quickly transfers so you don’t waste time retyping everything. So, who wins? Well, it depends what exactly you’re looking to do. H&R Block covers more filers with its free option. The two Deluxe options are $10 different (H&R Block’s is cheaper) but TurboTax’s Deluxe option supports more forms that self-employed, freelance and contract workers may need. Both services are user-friendly but TurboTax is slightly simpler with more straightforward language. Beyond these factors, which tax filing service you choose may come down to personal preference. Some people prefer one over the other because they simply like the way it looks. They might also choose H&R Block so they can have the option of filing at a physical location. Of course H&R Block and TurboTax are not the only two tax filing services. You may want to consider other options like TaxAct or TaxSlayer if you’re looking for a budget option. Credit Karma also allows you to file entirely for free. TurboTax and H&R Block are two of the most well-known tax-filing services. There are other great services to consider though, so make sure to shop around. Here is a list of the best tax filing software. Notably, TurboTax and H&R Block are two of the more expensive tax filing services. They offer great service but what if you just don’t want to spend the money on them? Consider this list of the three best free online tax software. Tax season is a good time to take stock of your overall financial picture. A financial advisor can be a big help with this. SmartAsset’s matching tool can help you find a person to work with to meet your needs. Just answer a series of questions about your situation and your goals, and you’ll be matched with up to three advisors in your area. You can then read their profiles to learn more about them, interview them on the phone or in person and choose who to work with.